$58,278 – $89,613 per year based on 194 school days per year and evaluation of years of experience in accordance with the provisions of the APSSP Collective Agreement. As a Child Care Worker, you will be available for daily occasional supply assignments. The responsibilities of the position include collaborating with the Early Learning team (including the classroom teacher and /or Extended Day staff) to plan and implement the Early Learning Kindergarten and Extended Day Programs within a classroom. The Child Care Worker will assist in supporting a faith-based full day Early Learning Kindergarten program and environment to enhance children’s cognitive, physical, social, spiritual and emotional development. The successful candidate will have good interpersonal skills to function effectively as a team member, and the ability to follow instructions. This position reports to the school principal. Ability to stand/walk for extended periods and move/carry equipment for program; and must be able to physically assist children as required (e.g. lifting). Collaborate with the Extended Day team to plan play-based learning activities. Activities include but are not limited to crafts, celebrations, outdoor play, free play, etc. Complete any duties as assigned by principal. Schedules will vary from school to school and will range from 7:00 am to 6:00 pm. Daily occasional Child Care Worker(s) are normally called for assignments that range from a start at 8:00 am to those that end at 6:00 pm. Qualified and interested applicants are requested to submit a resume outlining their specific qualifications and ability to do this job. Diplomas/Certificates required for this position must also be attached to your application to be considered as a candidate. Applications will be accepted up until 4:00 pm on December 7th, 2018. 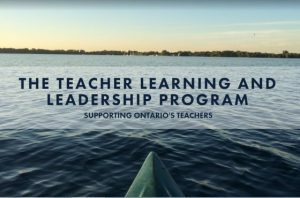 The Teacher Learning and Leadership Program (TLLP) is an annual project-based professional learning opportunity for experienced classroom teachers. Through the TLLP, the Ministry of Education has, for the past decade, supported hundreds of teacher-led projects across the province. The program funds proposals from classroom teachers who seek a peer leadership role in curriculum, instructional practice or supporting other teachers. There has been no communication to school boards from the Ministry regarding requests for proposals for Teacher Learning and Leadership Program (TLLP) for 2019-2020. 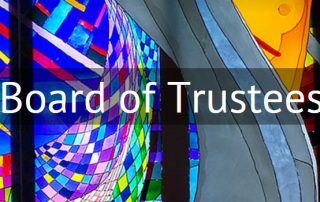 While this leaves the future of TLLPs uncertain, the WCDSB will continue to support current TLLPs and search for ways in which these collaborative endeavours align with other initiatives and priorities. We began our three-year pastoral plan with the theme People of Love in 2015-2016. During the 2016-17 school year our focused theme was on People of Hope. Over this past school year our focus has been People of Faith. 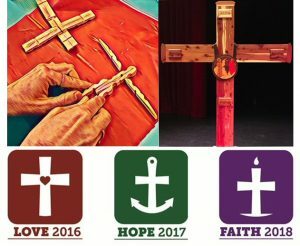 Each year of the current pastoral plan has been animated across the district with the use of an artifact that is used in all our schools to unify our school communities around the common theme. 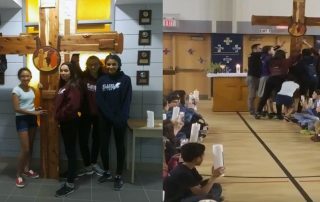 In October of the 2017-18 school year, we used the experience of our annual Spiritual Development Day to launch the third year of our three-year pastoral plan, and to introduce the pilgrimage cross, the artifact selected to animate and amplify our theme throughout all school communities. As we prepare to conclude our present pastoral plan, we are encouraged by the fact that in our most recent Multi-Year Strategic Plan (MYSP) survey, 87% of survey responders agreed or strongly agreed that school communities were engaged in understanding and living our three-year pastoral plan. Our goal with the soon-to-be-released new Pastoral Plan will be to carry this same momentum forward. 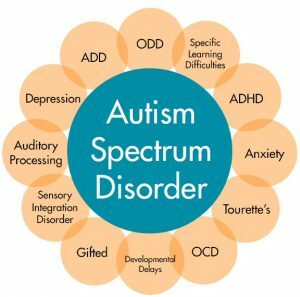 Within the Waterloo Catholic District School Board, there are many support services available for students with a diagnosis of Autism Spectrum Disorder. Through a collaborative approach within a school team, the classroom teacher works alongside the Special Education teacher to develop and provide appropriate programming for students diagnosed with ASD. Other school-level support staff involved may include an Educational Assistant and/or Child and Youth Care Worker. needing an IEP (e.g. students who may be experiencing challenges with transitions and the classroom environment). Trends in the number of newcomer students processed through the Newcomer Reception Centre continue to increase year over year. 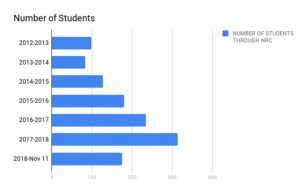 The vast majority of these students have English as an Additional Language learning needs. There are more than six hundred students at the WCDSB who are in their first two years in Canada and almost 1,000 students in elementary schools who are in their first four years in Canada. The board currently serves students from 114 different countries who speak a total of 118 different languages. The Ontario Human Rights Commission (OHRC) released its new policy on accessible education for students with disabilities, along with recommendations on how to best meet legal obligations under Ontario’s Human Rights Code. 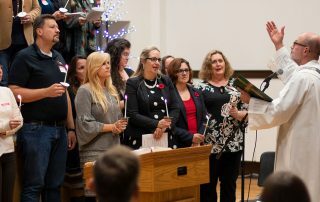 The Waterloo Catholic District School Board, representing more than 96,000 Catholic school supporters, operates 49 schools and four adult education facilities, serving more than 40,000 elementary, secondary and continuing education students in Waterloo Region – continuing a 182-year tradition of quality, inclusive, faith-based education. Follow us on Twitter: @WCDSBNewswire – #WCDSBAwesome. 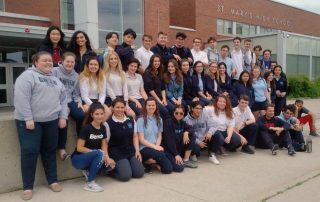 The WCDSB is proud to announce that 83 Advanced Placement (AP) exams were written by the board’s students last May in a variety of subject areas. AP is an internationally recognized program that provides highly able students with academic enrichment which prepares them for university and helps them earn university equivalency credits while enrolled in secondary school. Visit the Advanced Placement website for more information. Certification in first aid or CPR an asset. Salary Range: PASS Level 7, Salary Range: 73,769 – 86,789 per year in accordance with the PASS Terms of Employment. Qualified applicants are invited to submit a resume and covering letter. Applicants must attach diplomas/certificates required for this position to the resume in order to be considered a candidate for the position. Applications will be accepted until November 30, 2018 at 4:00 pm. Payroll administrators process payments to employees based on information received by Human Resource Services. The ideal candidate should be able to problem solve, work as a member of an interdependent team, and provide constructive feedback on processes and systems used by the department. Computerized calculation of pay, deductions and contributions. Calculation of adjustments for paid and unpaid absences. Verify, edit and transmit on-line production reports. Timely remittance of statutory and non-statutory deductions. Familiarity with OMERS pension plan. Preparation and verification of all journal entries and cheque requests. Generate documentation for audits and year end reconciliations. Supporting duties ie., responding to employee inquiries and ad hoc reports. Effectively communicate with government agencies, other departments and employees. Two-year college diploma in business or a related discipline. Payroll Compliance Practitioner Certification (Canadian Payroll Association), or in progress. Minimum of two years payroll experience in a computerized payroll environment. Demonstrated knowledge and ability in a variety of software applications, such as iSYS Works, Ceridian Payroll Manager, MS Dynamics NAV, Microsoft Office (with strong MS Excel skills). Comprehensive and current knowledge of applicable government legislation and the ability to implement collective agreements, pension plans and all payroll related regulations. Strong communication and analytical ability with excellent interpersonal and problem solving skills. Demonstrated sound decision making skills involving the use of considerable ingenuity, initiative, judgement and resourcefulness. Knowledge of the Canada Revenue Agency, Service Canada, Employment Standards Act, Workplace Safety and Insurance Board and Employer Health Tax Regulations. Possess organizational and multi tasking skills in a busy work environment. Payroll administrators normally work during scheduled holidays to meet deadlines. Qualified and interested applicants are requested to submit a written application and/or resume outlining their specific qualifications and ability to do this job. Diplomas/Certificates required for this position must also be attached to your written application in order to be considered as a candidate. If you have been deemed qualified because of your current position, this documentation is not necessary. Applications will be accepted up until 4:00 pm on November 30, 2018. To assist with the administrative duties of the school on a daily basis. Responsible for answering phones, opening and distributing mail and assisting students with their needs. Perform receptionist duties such as receiving and directing visitors, receiving and placing telephone calls, distributing mail/couriers/faxes/emails, recording and distributing messages, signing for material delivered or services rendered, responding to inquiries where directed by the principal, scheduling meetings and appointments. Operate, maintain and update the Trillium System and use the Trillium System for attendance purposes, recording new information, creating school reports and registrations. Compile, maintain and file confidential records such as Ontario Student Records (O.S.R. ), budget records, staff and student absenteeism, requisitions and reports. Some responsibility for handling/processing cash, purchace orders and cheques. Assist with reporting card printing and J/K registration. Photocopy and distribute correspondence and reports such as letters to parents, monthly newsletters, memos, monthly reports and confidential records. Maintain office and school supplies. Operate general office equipment such as photocopiers, fax machines, PA system and computers. Two (2) year college diploma in Office Administration or Business Administration. 1 – 2 years related work experience. Ability to plan work from general procedures and make decisions using ingenuity, initiative, judgment and resourcefulness. Excellent time management, organizational and multi-tasking skills in a busy work environment. Proficiency in Word, Excel, Publisher and PowerPoint software. Knowledge and ability in Trillium (or similar relational database), and Navision (an asset). Knowledge of the Board and Ministry policies and procedures would be a definite asset. Maintain confidentiality in all aspects of the position. Applications will be accepted up until 4:00 pm on November 20, 2018. Applicants are invited to self-identify on the application if you are First Nations, Metis, Inuit, a member of a visible minority group(s) or a person with disabilities. This information is collected under the authority of the Ontario Human Rights Code for recruitment information. No personal information will be included. Strong problem-solving, conflict resolution, decision-making, leadership and research skills.